Electronic outfit Jaenki bring together retro dance synths and entrancing pop melodies on this impressive new project Every Human. Done For marks a bold starting point, taking its time to kick in and gather momentum, but keeping you involved and interested right the way through – thanks to lyrical simplicity and this sense of rising anticipation. Wherever you think the music may go, Jaenki are almost certain to take it somewhere else. What first appear as softly soulful vocals later evolve to be manipulated in the same manner as the surrounding instrumentation. The track spirals outwards into this electronic world intermittently, and all the while that voice keeps returning, with its short lines and its conceptually thoughtful points, reminding you of the humanity behind the whole thing. Done For is a brilliant song, fascinating and refreshingly creative – expressive in a new and intriguing way. Though there are elements of familiarity – think back to the trip hop days of the noughties, perhaps earlier – there’s also plenty about this that feels new. Even the stripped-back, choir-led outro adds something brilliantly unusual yet gorgeously appropriate in terms of the mood and sentiments of the song. As the EP continues, the band lean further into the electronic world but never fail to return to those human vibes that help the project appeal to a much wider audience. The title track underlines the main aim of the writing and explores the very thought of human existence in a quirky and accessible fashion – always leading with the all too familiar phrase some people; occasionally utilising humor, occasionally taking on something a little more serious and thought provoking. The band prompt their audience to open their minds, and the music paves the way for this really well. 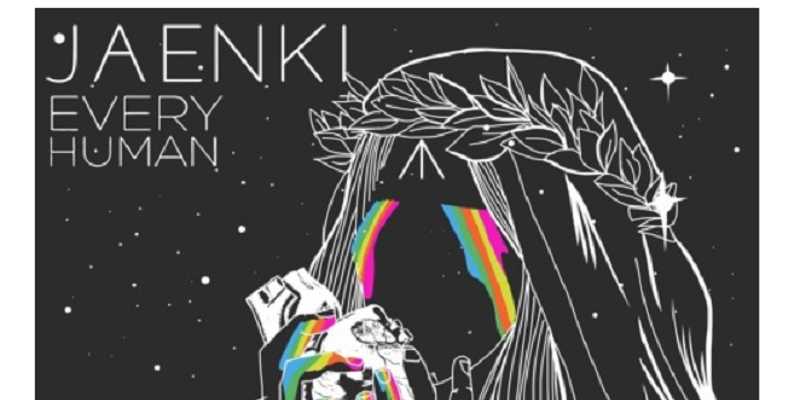 Every Human is an exciting EP and one that highlights Jaenki as a name to look out for over the coming months and years. The energy of the music also suggests that a live show would be something well worth stumbling upon. Find & follow Jaenki on Facebook, Twitter & Instagram or visit their Website.